Assistant District Attorney Joshua Boone wanted to reassure his boss. A political blogger was raising questions in early February about why the DA’s office had agreed to plead Ryan Flynn’s aggravated DWI charge, leveled after a May 20, 2017, traffic stop, down to careless driving. Flynn, one of the state’s most influential power brokers, was Gov. Susana Martinez’s former Environment Department secretary, and now heads up the New Mexico Oil and Gas Association. In a Feb. 8 email, Boone told Bernalillo County DA Raúl Torrez he believed the case against Flynn could clear an initial legal hurdle. Additionally, because Boone’s direct supervisor, Metro Division Chief Jason Greenlee, was “really good friends” with lawyers on Flynn’s defense team, Boone told Torrez prosecutors had removed Greenlee from making any decisions about the case. But the Santa Fe Reporter and New Mexico In Depth have found that Greenlee was intimately involved with assessing evidence and negotiating Flynn’s plea throughout the case. Further, Boone, Greenlee and others misled SFR and NMID about the strength of Flynn’s case. 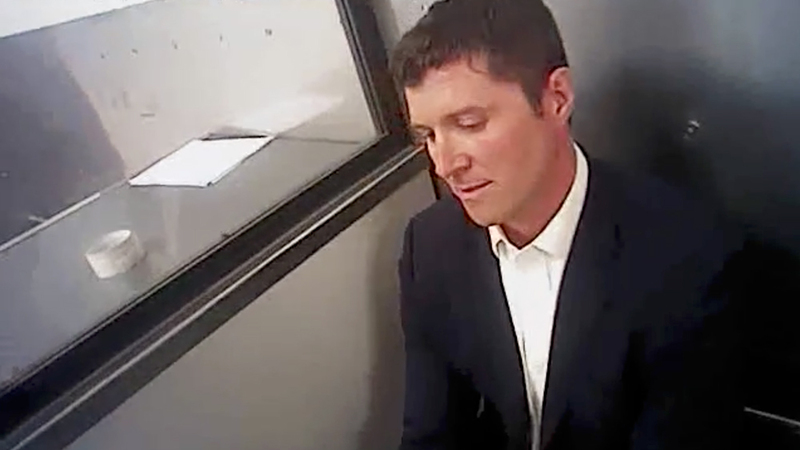 Taken together, Greenlee’s involvement and previous public statements raise fresh questions about whether the DA’s office did a favor for a high-profile defendant. Emails obtained by the two news organizations show that Greenlee, far from being “removed” from the case, stayed in direct communication with one of Flynn’s defense lawyers throughout the criminal proceedings against Flynn last summer — and even directed Boone to plead the case out in August. Moreover, court records associated with the case are festooned with Greenlee’s name, showing he made numerous decisions about the prosecution. As for the strength of the case against Flynn, despite telling his boss in the Feb. 8 email that he believed prosecutors had probable cause to move the case to trial — a key standard that informs prosecutors’ decisions — Boone told SFR and NMID the opposite during a telephone interview for a story published later that month. The emails are a part of a cache of hundreds of pages of records released by Torrez’s office in response to requests under the New Mexico Inspection of Public Records Act. In February, SFR and NMID published a story raising questions about how Flynn escaped the drunken driving charge in an August plea deal. Torrez told a journalist in an interview before the story published that he was not “directly involved” in Flynn’s case. Months after the August plea deal, Torrez would find a partner in Gov. Martinez in his public lobbying effort that ultimately convinced state lawmakers to give his office a $4.3 million funding increase to help prosecute criminal cases. It made him one of the biggest winners of the 2018 legislative session. The central theme of Torrez’s lobbying campaign for the millions in additional taxpayer dollars was that his office was underfunded in its efforts to put criminals behind bars and increase conviction rates, including on DWI cases. Yet email exchanges about Flynn’s prosecution undercut Torrez’s claims that external factors, including lack of funding and police officers not showing up to court, hampered the office’s efforts to prosecute Flynn. Neither Torrez, Boone or Greenlee responded to requests for comment for this story. Albuquerque police arrested Flynn around midnight May 20 after his luxury sedan swerved numerous times traveling northbound from downtown Albuquerque, delayed proceeding through a green light by 10 seconds and drove 10 mph under the posted speed limit, all with his headlights turned off, according to police reports. A veteran DWI officer pulled Flynn over after seeing the sedan veer into a turn bay blocked by bright orange traffic barrels before Flynn steered it back over a solid divider line on an I-25 frontage road. Police video shows Flynn telling the officer numerous times during field sobriety tests that he was “nervous” but had not been drinking. But the officer decided to arrest Flynn after he noticed numerous signs of intoxication during those tests, and because Flynn’s eyes were bloodshot and watery, his speech was slow and slurred, and he smelled strongly of alcohol. Flynn refused to take a breath test and was booked into the Bernalillo County Metropolitan Detention Center, where, according to one of his attorneys, a breath-test machine detected a small amount of alcohol. That test would have been administered about seven hours after his arrest. Flynn has declined to answer specific questions about the case, including whether he was drinking, but he maintained in court proceedings and in an administrative review that he was not. 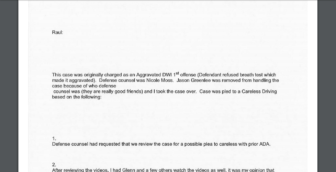 More than a month after his arrest, on June 25, a Sunday afternoon, Greenlee, the DA’s Metro Division chief, received an email from Morrissey, one of Flynn’s defense attorneys. The other is her law partner, Nicole Moss. Morrissey, in a brief telephone interview Wednesday, said she was unaware Greenlee was removed from decision-making in the case. Nobody in Torrez’s office was aware of Flynn’s high-profile positions during the criminal proceedings, she said before hanging up on a journalist. On July 25, Greenlee emailed videos of Flynn’s arrest to Boone and another DWI prosecutor in the District Attorney’s Office, telling them Morrissey believed her client, Flynn, was not drunk the night of his arrest, despite refusing to take a breath-alcohol test. 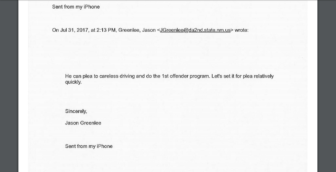 On July 27, Morrissey checked back in with Greenlee in an email. “What are your thoughts?” Morrissey wrote. Greenlee replied the next day in an email. “I’m emailing the cop and hoping to have a phone conversation with him today,” he wrote. Flynn’s case had moved quickly. Fewer than three months had passed from the night he was arrested until the lawyers brokered a plea deal. The court-mandated deadline for DWI prosecutions in New Mexico is six months — with many cases continuing long past that at the request of defense lawyers or prosecutors. That happened the same day, sparing one of the state’s most influential politicos the stigma of a DWI charge. How and even whether the Albuquerque Police Department was involved in a 2016 undercover federal drug and gun sting has lingered for more than a year under scrutiny from legal scholars, defense lawyers and New Mexico In Depth. Police and city officials under previous Mayor Richard Berry’s administration denied the department was involved.